The Great Smoky Mountains along the North Carolina and Tennessee border are a treasure trove of scenery and adventures for travelers. They are beautiful in every season, from the pastel greens of spring, to the vibrant colors of fall, to the cold, stark beauty of winter. And 365 days a year you can visit one of their most exciting and interesting sites. Ashville, North Carolina is right at the base of the Great Smokies, off Interstate 24. 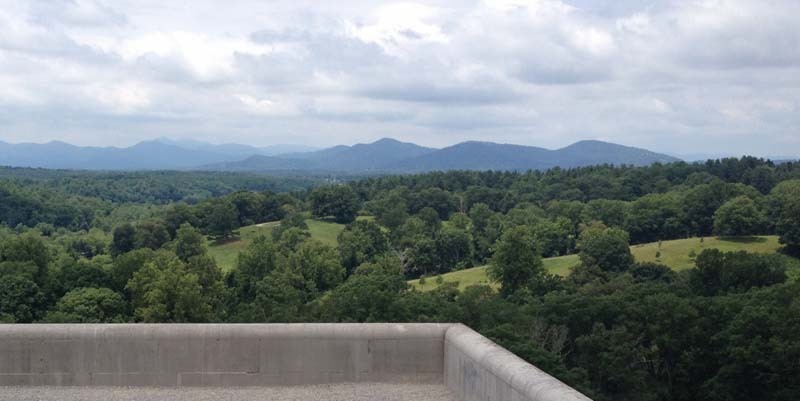 Just a visit to Ashville is worth your time. It’s a lovely city with all kinds of things to do, places to eat, and beautiful places to stay. 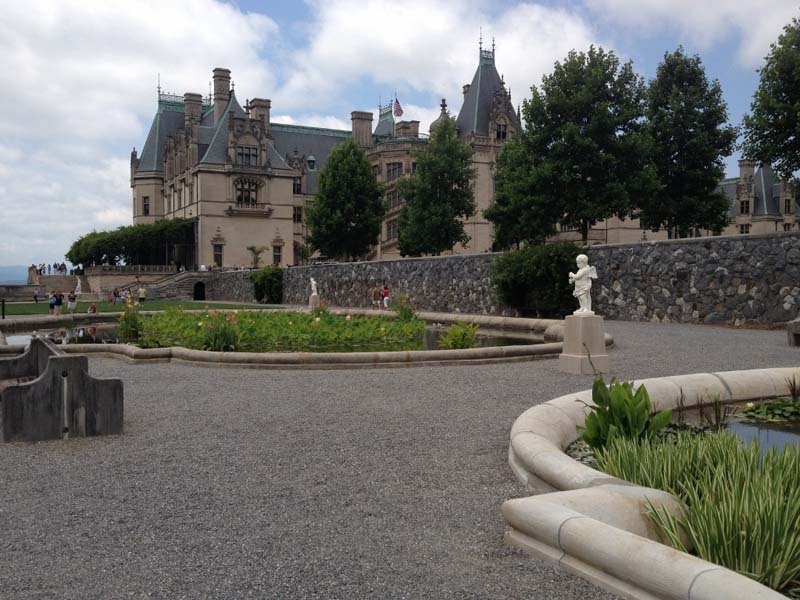 But their biggest draw, in my opinion, is the Biltmore Estate. This absolutely breath-taking “castle” and its surrounding estate was built by George Biltmore, and completed in 1895. The house has 250 rooms that will completely amaze you. When you visit the estate, the first thing you will want to do is take a self- guided tour of the house. I have been several times in my life, and it has never failed to excite me. There are three floors and a basement that you can tour, and plan on at least two hours to do this. Not only will the size of the rooms amaze you, but you will also be treated to vintage clothing displays, period furniture, and huge paintings and tapestries in almost every room. The wealth and lifestyle of the people who lived and visited this estate in the early 20th century are evident in every corner of this house. There is a huge billiard room, fireplaces that you can stand in, an indoor pool (amazing, considering when the house was built), and a great kitchen. Not to mention the other 247 rooms. And all of this sits on thousands of pristine mountain acreage. The views are breathtaking! 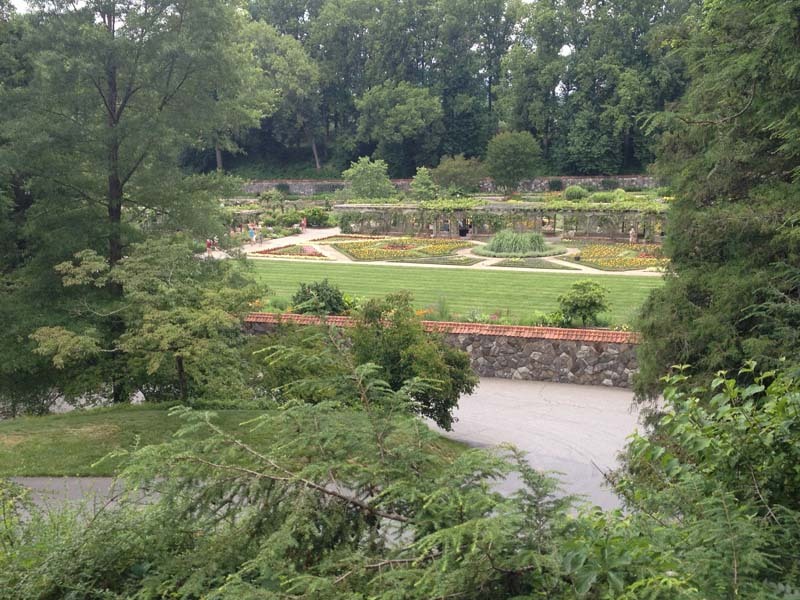 When you finish the tour of the house, you will want to head to the gardens. There are acres of formal and informal gardens that you can stroll in forever. If you visit their website, you will find a “bloom calendar” that will inform you of the prime dates to see the best showings of the various flowers and shrubs available. Spring has azaleas and bulbs galore, and the rose garden features over 250 varieties of roses that will show best in early summer. Check out the calendar for specifics. They also have special events throughout the year. You can enjoy concerts, music and wine weekends, and specialty tours. Again check the website. My favorite time there is Christmas. The house is decorated in the most splendid way. Many, many gorgeously decorated Christmas trees adorn the rooms. And these are huge trees! Room and table decoration are lovely, and by all means visit the kitchen. The spices and gingerbread and cookie smells are to die for. They also have Candlelight Christmas tours at night, which I am sure would be a wonderful treat. In recent years, they have built Antler Hill Village and Winery on the Estate. This is a period village that features all sorts of shops, crafts, and eateries that will definitely enhance your visit. The Music and Wine weekends are held here, and feature live music, grape stomps, and wine tastings. There is the Barn, which the kids will love. It has live animals, blacksmiths, woodworkers, and all sorts of craft demonstrations. Also, a Smokehouse is available for snacks and sandwiches. You do not want to miss this experience, and since they are open every day of the year, you don’t have to! 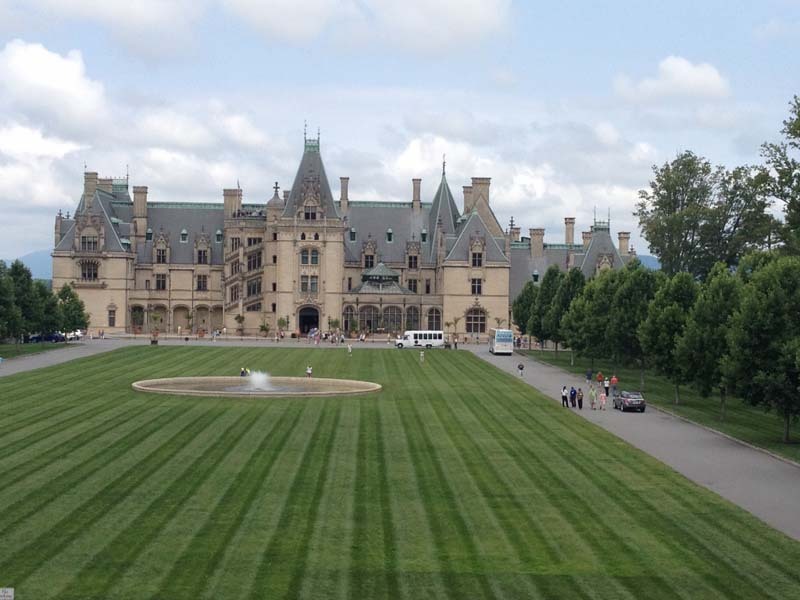 Check out their website at www.Biltmore.com for all their hours, events, and ticket information. And have a great time!